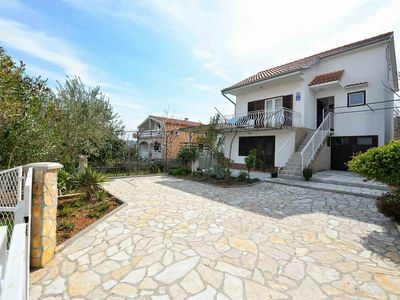 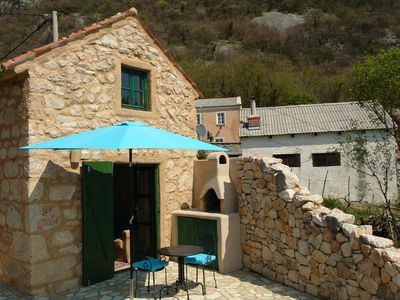 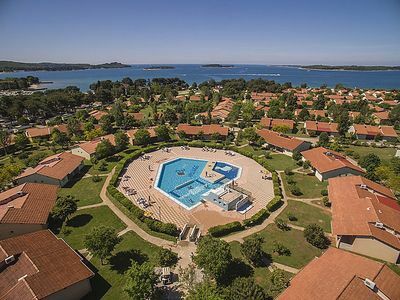 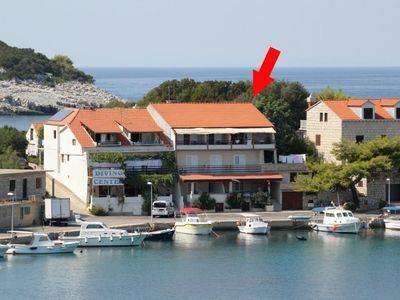 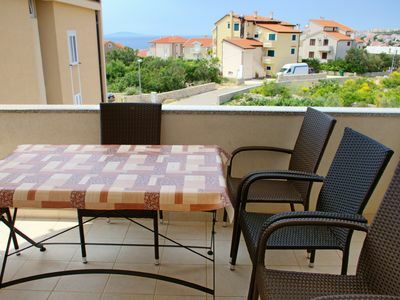 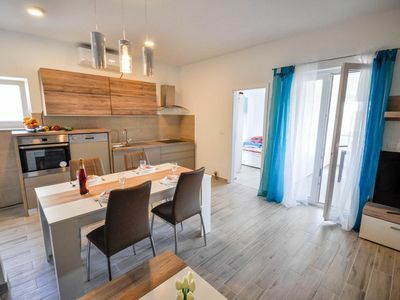 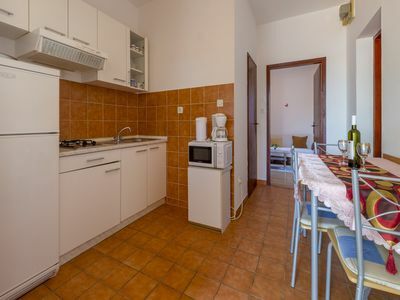 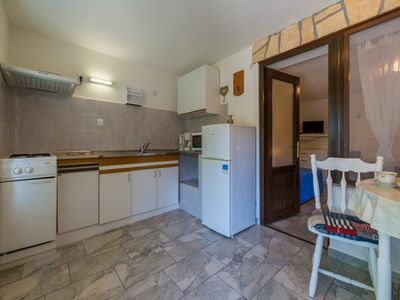 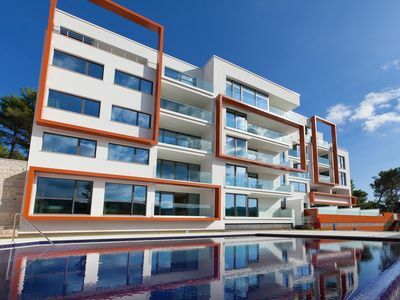 In Novi Vinodolski, near Crikvenica are these pleasantly decorated holiday apartments located. 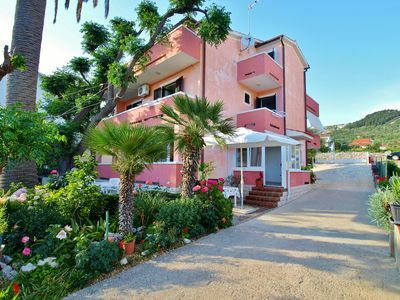 The adventage is also that you are here close to the beach which you can reach on foot. 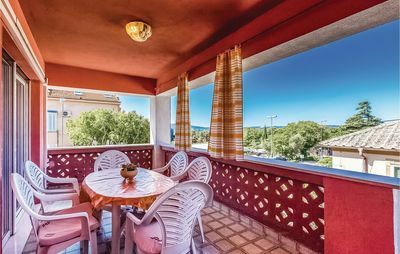 CKN422 is comfortable and located on the first floor with a partial view of the sea, while CKN423 lies on the ground floor. 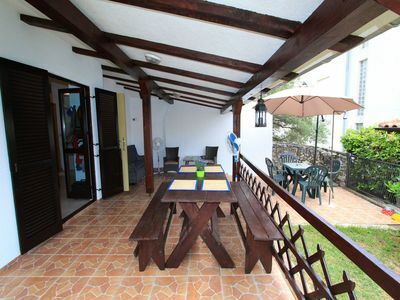 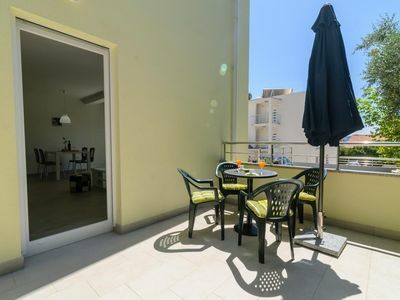 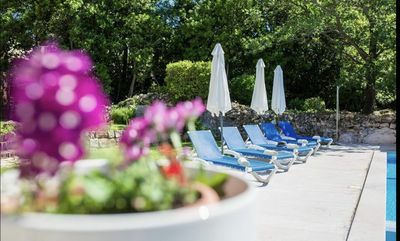 Each has a separate terrace with a barbecue where you will enjoy preparing your favorite dishes. 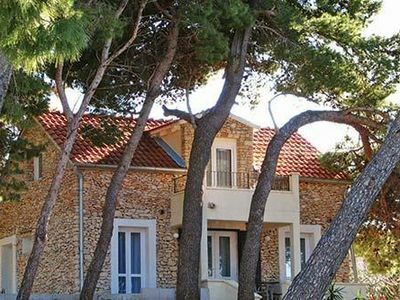 The house is situated along the road, but common garden with Mediterranean vegetation is fenced so children will enjoy their playtime. 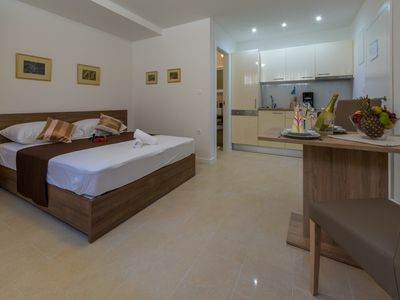 Also nearby are quality facilities that guarantee fun and active holiday.